Medium - $49.99 Only 1 left! Large - $49.99 Only 2 left! As previously reported, the tights are loose and I ended up purchasing the tights from somewhere else. The globes were too long for me. I’m 5’2” and they went up to my elbows. The dress is fitted so if you aren’t comfortable with a fitted dress order one size up. The wings were the best part about the costume. I wish a wig would have come with it but it was a great price and totally worth the price. 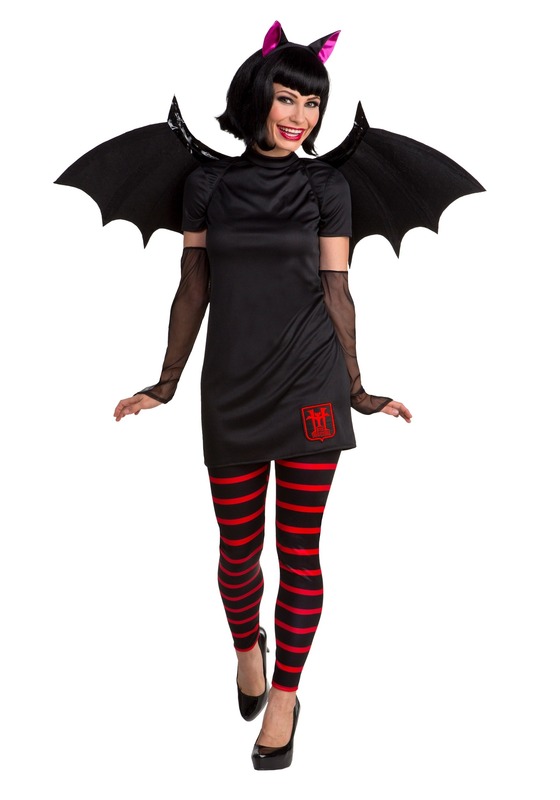 The only thing cute about this costume is the model wearing it. The leggings are loose at the knee and wrinkled up. The mesh arm sleeves are huge and the elastic at the top is way too tight. The dress is shapeless and not flattering whatsoever. Only keeping it for the cool bat wings.